Marrone Bio Innovations (MBI), a leading provider of bio-based pest management and plant health products for agriculture, turf and ornamental and water treatment markets, has joined a pilot project with AgShift, a Santa-Clara (California) based agriculture technology startup, to assess the impact of the use of biological pesticides on the quality of fresh produce. AgShift has developed a revolutionary new digital tool to rapidly assess the quality of fresh produce that MBI is piloting to determine the effectiveness of its biopesticides, which, if proven successful, will save California farmers and packers significant time and money. This pilot test is being implemented this year on strawberries in Watsonville, CA. 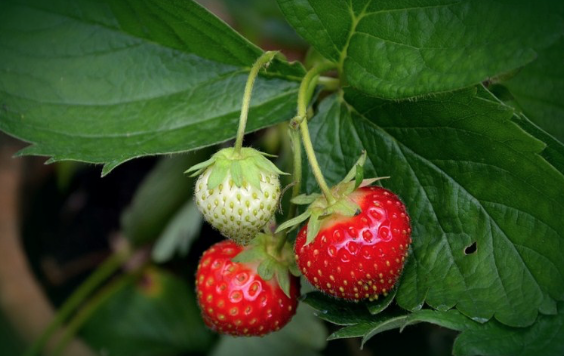 It is the first time that farmers will be able to view a digital reflection of the growth of the strawberry crop. The project will more efficiently produce digital and visual records of crop input treatments—such as biopesticides—and the resulting correlations with the produce quality. The project will also analyze the impact of other external factors, such as weather, soil and irrigation patterns on produce quality. This will better help MBI access the efficiency and efficacy of their biopesticides. There is currently a digital revolution in agriculture with both large multinationals and startup companies seeking to help farmers increase productivity and profits by organizing and analyzing on-farm data, including yield, soil test, fertility, chemicals, traits and seed varieties. The application of “big data”, sensors, precision tools and robotics to improve and enhance pest management tools and decisions is just beginning. The use of these and digital tools in the use of biological pesticides is in its infancy. MBI, one of the forward-thinking companies in pest management industry, has been developing effective and environmentally responsible bio-based pest management and plant health products since 2006. AgShift has developed an innovative mobile-first solution that automates food quality assessment and brings digital transparency to the food industry. AgShift’s proprietary deep-learning algorithms and computer vision algorithms automate key elements of food quality assessment across the supply chain. To put it simply, in this collaboration with MBI, a farmer will use an iPhone app to take a photo of the crop after treatment with MBI’s biopesticide, which rapidly assesses the crop’s (fruit) quality and number.